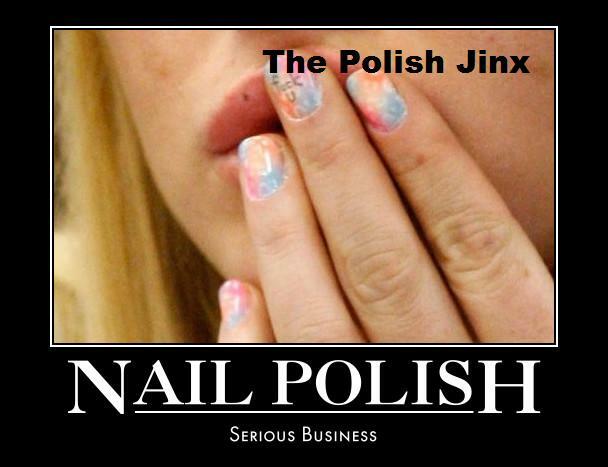 The Polish Jinx: Lush Cosmetics New Easter Products - And A Review! 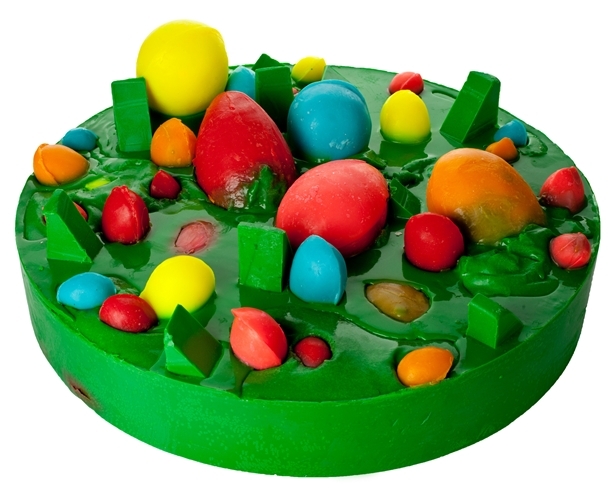 Lush Cosmetics New Easter Products - And A Review! 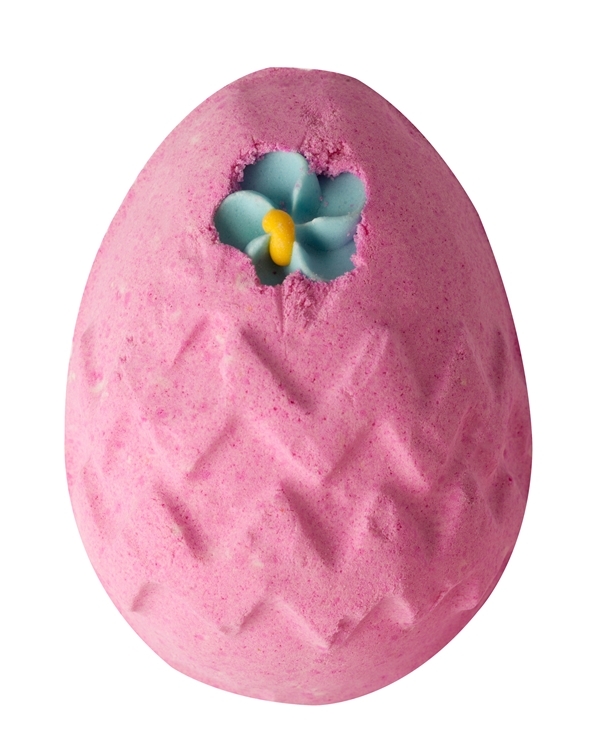 Quite simply, this bath bomb is like a piñata for the bath – but it’s a hen. So it’s a Heñata. 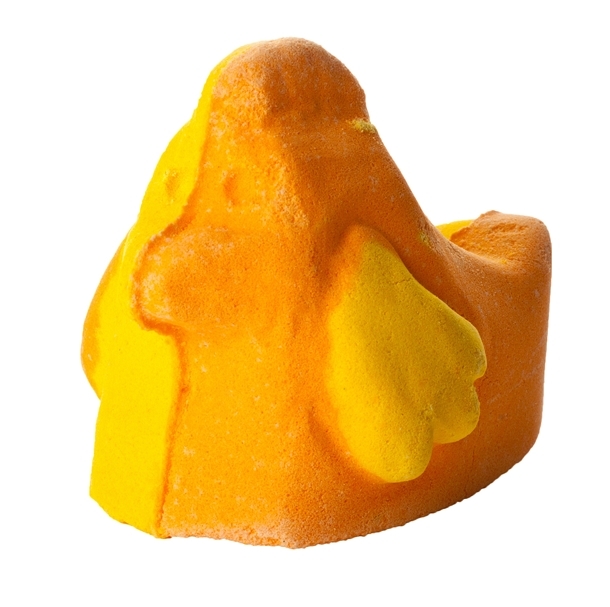 Smash this cheerful chicken against the side of your bath to reveal some hidden surprises inside, including soap paper flower petals and a small egg made from ballistic mix! It’s a colourful fiesta for your tub and perfumed with uplifting citrus tangerine, bergamot and mandarin oils to help keep the party going! For those who still want their candy fix, try this sweetie scented pink egg adorned with a candy flower. It’s like bathing in a bubbling mass of marshmallow, candy floss and jelly bean scented water … you’ll get your sugar fix without anything passing your lips! 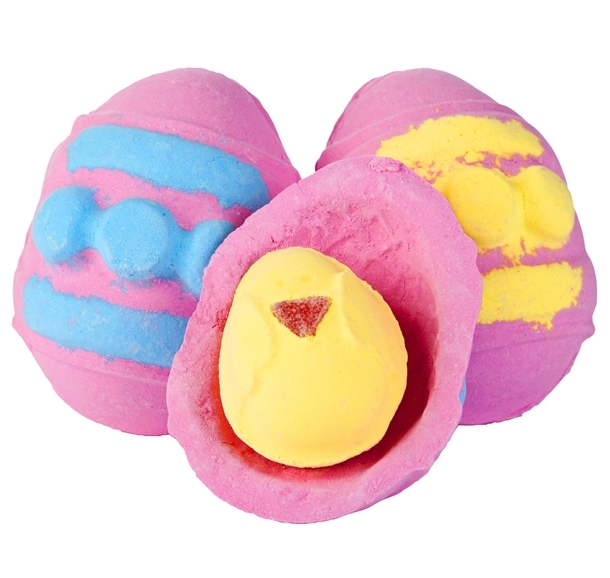 One of LUSH’s innovative double-layered bath bombs, these are hollow eggs with a surprise inside: crack the outer layer to reveal either a mini chick or bunny bath bomb inside! You can then throw the outer eggshell and chick or bunny into the bathtub and enjoy a vanilla absolute, lemon and grapefruit scented soak. There are two colors to choose from: the yellow egg that contains the bunny and pink egg which contains the chick. 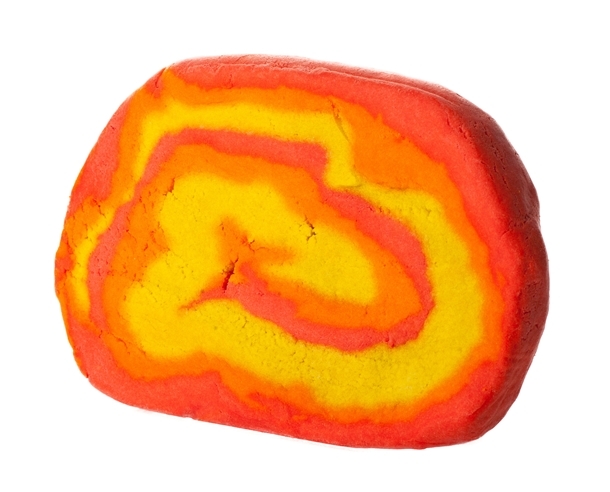 A bright and cheerful swirl of a bubble bar to give you a fresh and cheerful perspective. Scented with a trio of uplifting and invigorating oils: Sicilian mandarin, tangerine and bergamot oil and just a squeeze of lemon. All are energizing and will lift the spirits and clear the mind. Crumble under the running water and watch as the water turns into a hazy red and orange sunset with frothy white clouds of bubbles. Easter would not be complete without the Easter bunny! And what do Easter bunnies eat? 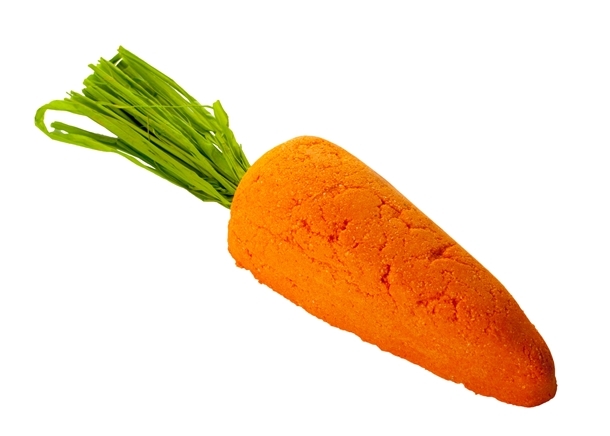 Carrots! This is one of our reusable bubble bars, swish it around the bath by its green top, make your bubbles and then pop it on the side for another time. The fragrance smells nothing like carrots, as we’ve used lots of fruity oils like buchu, lemon and bergamot to really make your mouth water. There is a little bit of nutritious carrot oil in there though, which is rich in vitamins and an extraordinary skin soother and rejuvenator. Now I must say, I am not really super duper excited about any of these items. 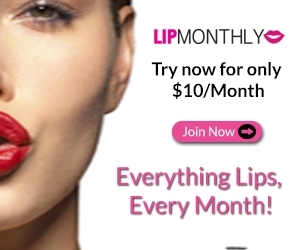 I think I will probably pick up a Brightside Bubble Bar, but that is it. I got the Lush Carrot Re-Usable Bubble Bar from my mom last year and while I really appreciate it (I think I might have gotten two from her and still have one?!) I think it was one of the MOST disappointing bubble bars I have ever used from LUSH! 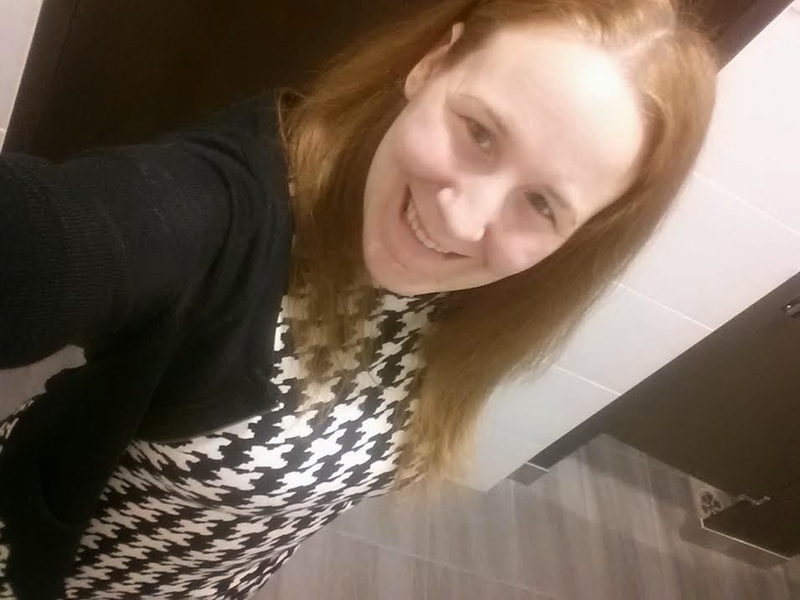 CLICK HERE FOR PICTURES AND A REVIEW OF THE CARROT!! !